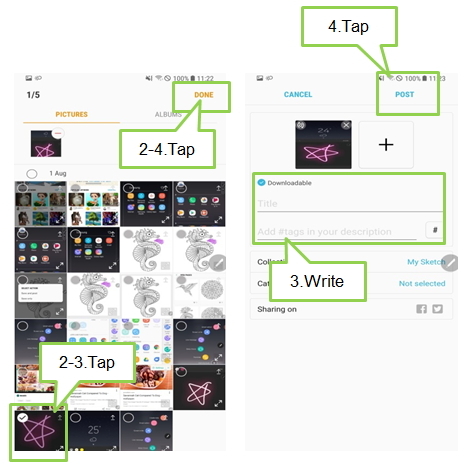 [Galaxy Note 8] What is the PENUP? How do I use this feature? 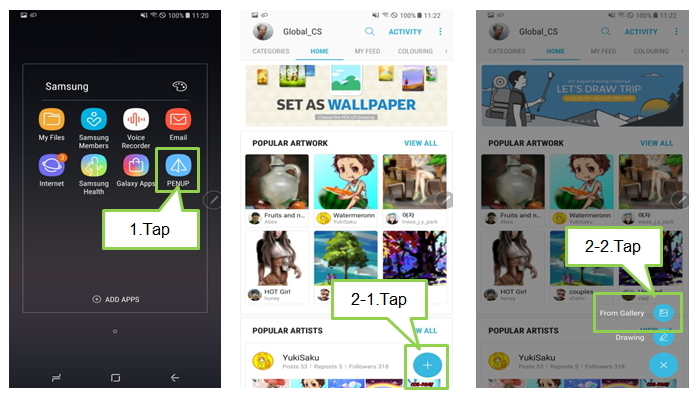 PENUP is a social network service for sharing artwork drawn with the S Pen. Post your artwork, view others’ artwork, and get useful drawing tips. You can sign in to PENUP with your Samsung account or other SNS accounts. 1 Open the Samsung folder, launch the PENUP app. 2 Tap to post artwork from Gallery, tap From Gallery. And select your artwork to post, then tap DONE.